Automated machine response to human attributes now possible at close and long range with multi function human recognition sensor module. Omron’s HVC-P2 multi-function sensor module is now available in Europe through TTI. The product provides a maximum recognition speed that is 10 times faster than previous Human Vision Components (HVC) system sensors from Omron. The module features Omron’s OKAO vision technology for recognising human face expression, gender, age, gaze and blink into a camera module. It can detect a human body four times per second, reliably keeping track of a person within a detection area without fail. 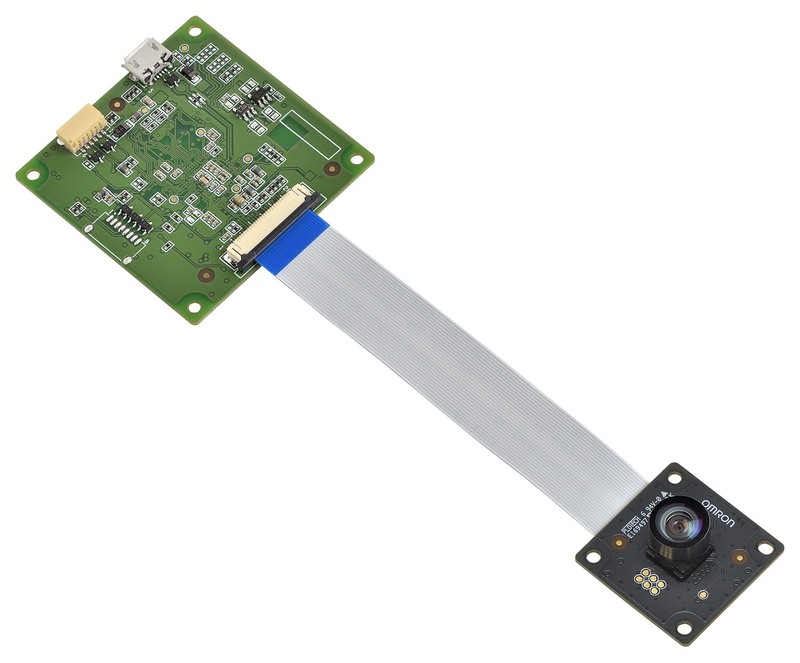 The sensor module consists of a camera and a separate main board, connected via a flexible flat cable. It offers long-distance (50-degree lens) and wide-angle (90-degree lens) detection type camera heads. Equipment embedded with the component can detect and presume attributes and conditions of a user in its vicinity without the user being aware of the camera. This detection ability allows the equipment to offer services based on that user’s attributes. The device can be used in a variety of sensing and Internet of Things (IoT) applications, including vending machines, heating and cooling systems, lighting and security products, home appliances, robotics and digital signage.